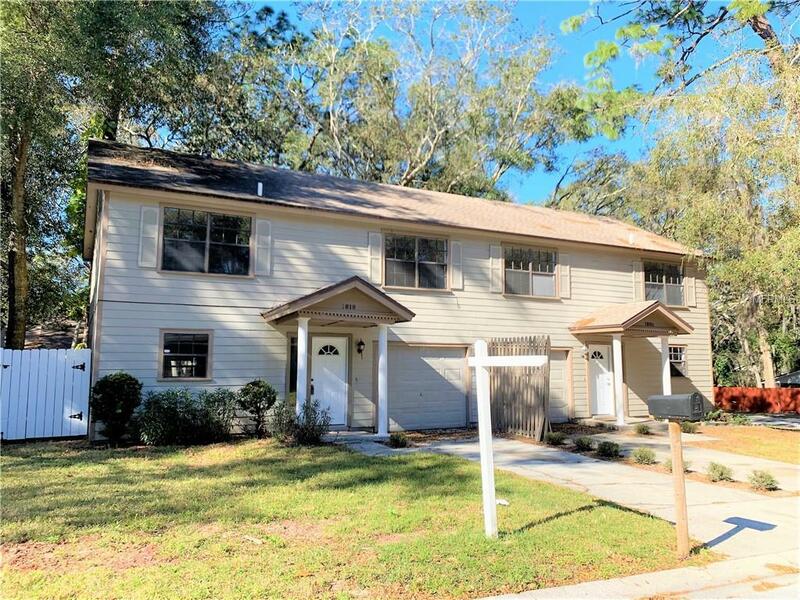 Great opportunity to own this updated and spacious, 3 bedroom 2 1/2 bath PLUS a den/office/study AND a 1 car garage town home with a fully fenced back yard on a corner lot location! The beautiful, updated kitchen boasts granite counter tops, custom wood cabinetry, a sunny kitchen window and is open to the dining room and family room beyond. The dining room offers ample space for a nice sized table set, and bar stool counter space to the kitchen. Downstairs features neutral tile throughout, and there is dedicated den/office/study or bonus room space and a 1/2 bath for guests. Upstairs boasts three spacious bedrooms, an en-suite master bedroom and bathroom with a super sized walk-in closet. There is an additional bathroom AND an upstairs laundry closet. Neutral finishes, recently installed carpeting, and high ceilings lends a fresh and current quality to the home. Enjoy the Florida outdoor lifestyle on the open patio and fully fenced back yard. There is a nearby community park and playground area and beautifully tree'd streets. The adjoining town home (1806) is also being offered for sale which makes for a great opportunity to own the entire building (two units total). Live in one side and rent the other side out for extra income, or rent both sides out for a great investment opportunity. An exceptional property at an exceptional value!